It's been a while since I updated the forum on the mods done. Did a modified night package vinyl stickers with matt black stickers for the window frames, roof rails. CF effect stickers for the wing mirrors, front and rear bumper chrome strips, foglamp area vent strips. Removed all the emblems from the rear except for the star. 20" Stance rims in brushed titanium finish staggered. 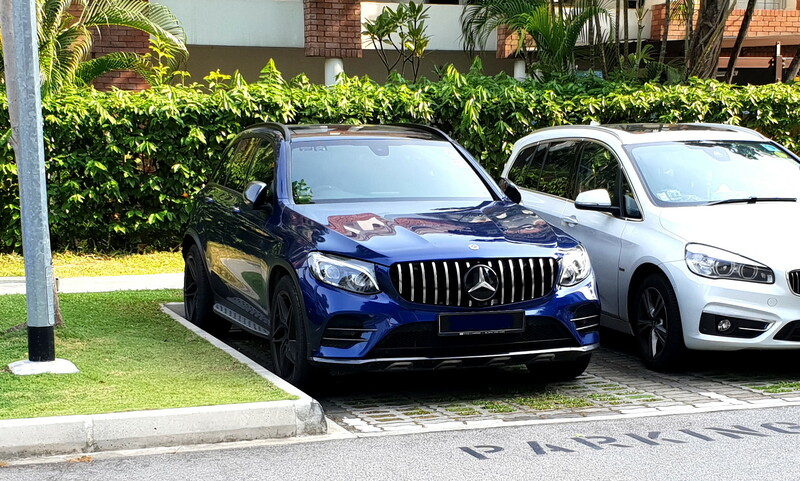 Changed my diamond grille to the GLC 63 style vertical grille. 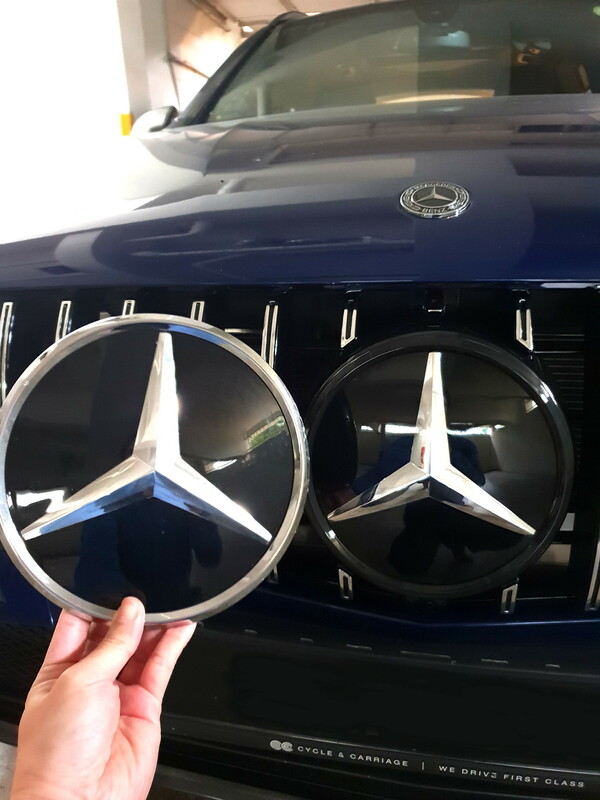 After installing the GLC63 grille with the 2D star with black ring, decided that the 2D star with chrome ring still looks more merc. So did a quick 2 minute swap. Outstanding color contrast! Personally ‘researching’ who does the best caliper paint works these days! Bro what’s the offset of the rims front/rear? no worries bro... and noted on the spacers.. seems quite hard to find a set with good fitment, unless we order a customised set maybe..
Bro, GT grill from TB? Care to share link? 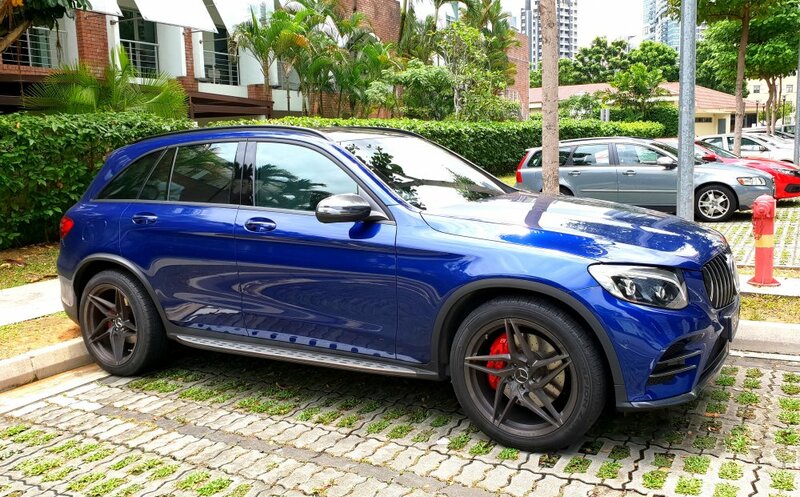 Yes unless you stick with original AMG staggered rims for GLC43/63, almost impossible to find a set with the exact offset such that the rear sits almost flushed with the fender. Nope, no plan for that. Happy with the SUV height. Good for roads up North. Bro, your ride come with front camera on the grille? If not how u sealed the hole? saw that too! can share the damage bro? does it lower the ride any bit? 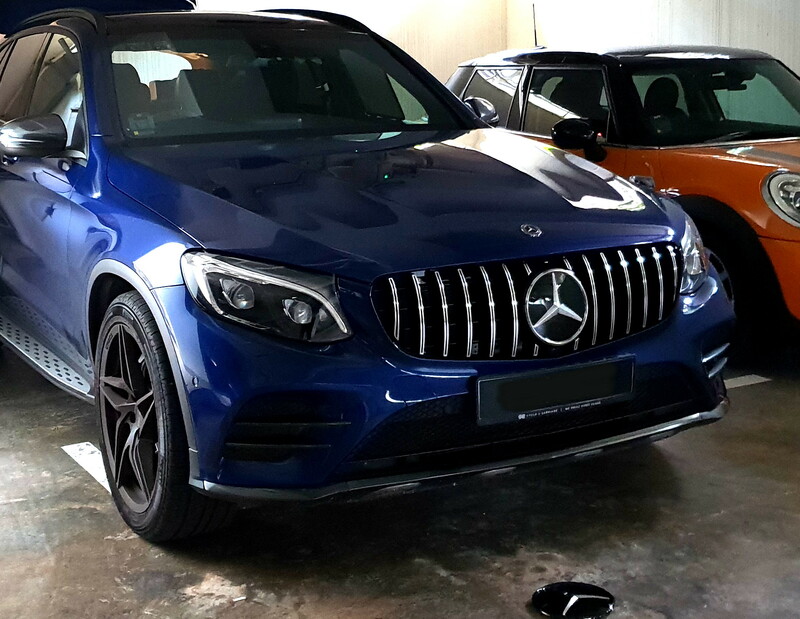 That car in the picture looks like a black/dark blue, PI (non-ILS), full GLC63 kit, calipers unpainted. The thing about it is, for C&C AMG line, it already comes with sports lowered (10mm) suspension. 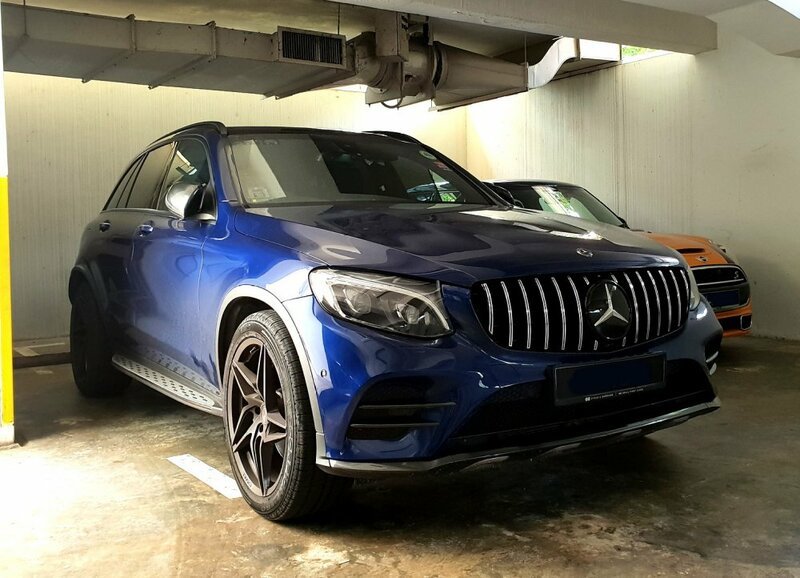 Not sure if PI's AMG line has the sports suspension? If not maybe it is worth the change. 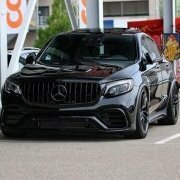 The only other sports suspension is the AMG SPORTS airmatic suspension.... Which should be crazy pricing to mod.... Shld be north of 10k. Maybe I am wrong... 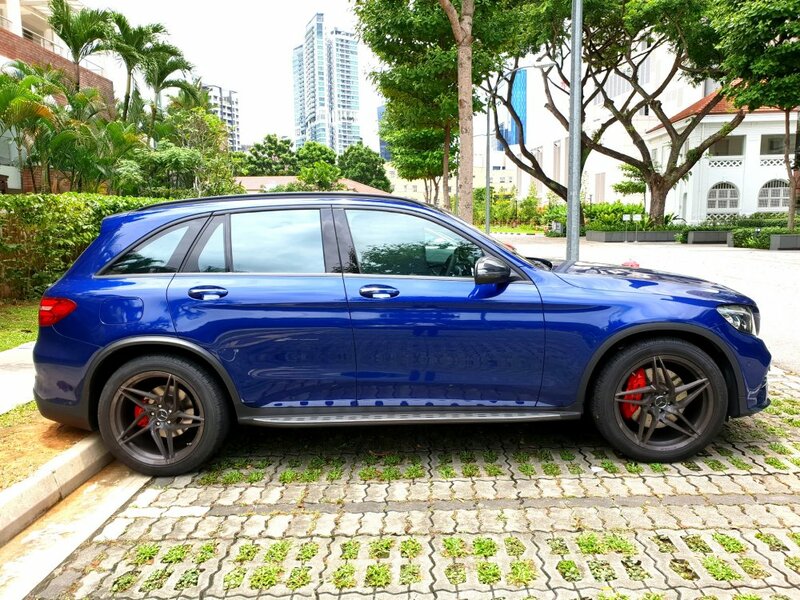 There could be another sports suspension in the AMG series. That's SUV style I guess.... Need to accommodate that longer suspension travel for the minor off roading capability of the 4matic. 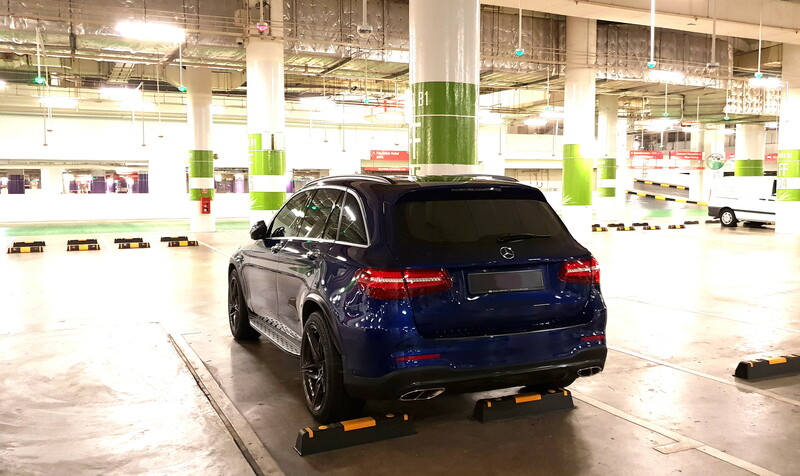 AMG sports suspension (non-airmatic) is 10mm lower and firmer than stock standard GLC suspension. Not much visually but does make a difference in terms of reduced wallow and lean in corners and fast change in direction.